There But For The Grace . . . 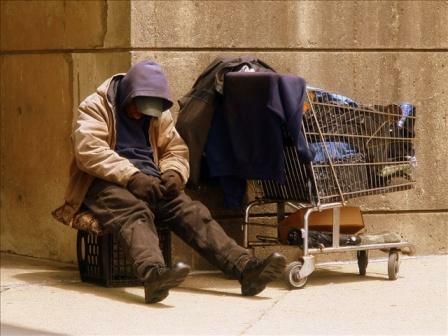 Categories: City Street, Grace, Homeless, Human Nature, poetry, Sadness | Tags: Christmas Tree, Grocery Cart, Homeless, Homeless Man, Parlous, Perfect Storm, Pilfered, Reflections, Toilette | Permalink. Recently I saw an article in the newspaper, on Page A19, beneath the fold. Intrigued by the headline, I began to read, and soon my attention was totally riveted. The print article was short, but there was a link to the paper’s online edition which elaborated on the tale. The story that captured my attention had elements which became more familiar-sounding as I read on. To encapsulate, the subject about whom the article revolved was named Yeshua (no last name) and claimed to have been born in the city of Bethlehem (currently a Palestinian city located in the central West Bank), although when requested, he was unable to provide a valid birth certificate, a passport, visa, driver’s license or Social Security card. When asked about his curious lack of identification, he replied simply that his father in heaven knew who he was. The suspect, when apprehended at JFK Airport in New York, had been seen approaching travelers and asking if they would leave everything behind and follow him. He was, of course, given short shrift by most savvy New Yorkers, but enough people had shown an interest that he apparently felt confident in establishing himself on a small raised area of the busy concourse, and beginning to speak to those who stopped to listen. An employee of a nearby gift shop called a friend who was a reporter, and soon the crowd grew to an unmanageable size, with TV, radio and print reporters surging closer, waving cameras and mikes and shouting questions. Airport security was called, and they detained Yeshua until the NYPD and representatives of Homeland Security could arrive and take custody of the man, who they described as a “rabble rouser”, and a possible danger to himself and others. Taken in for questioning, Yeshua was unable to give a satisfactory answer to even the simplest of questions. Soft-spoken yet with an air of quiet command, he said that he acknowledged their detention, but not their authority over him and his actions. Asked how he had come to be in the U.S., he declined to answer, stating that his questioners “would not understand”. He seemed unable, or perhaps unwilling, to elaborate on his story, but would only add that, as he had promised, he had come back, to gather those of his flock who had earned salvation. Asked who were the other members of his cell, he declined to reply. After many hours of interrogation, the alleged rabble-rouser and possible terrorist was printed, photographed and strip-searched, before being thrown in a jail cell with a known Muslim collaborator and a high-tech listening device. His cellmate had been briefed beforehand and told that he might get a reduced sentence if he could induce the suspect to make friends and perhaps spill his guts on tape. Waterboarding was discussed, but having observed the scars of a savage beating on Yeshua’s back, along with deep indentations on his forehead, as if he had at some time worn a torture device, it was decided that the man was probably not a good candidate for this type of “special” enhanced interrogation. A search for the man’s family produced no results, probably not surprising when there were so few clues to his identity. Although Yeshua seemed lucid, intelligent and unusually articulate, it was suspected that he intended to claim insanity as his defense. So there was little surprise when, asked to state his full name for the record, the prisoner replied that he was Yeshua of Nazareth, a carpenter and itinerant preacher. There was much amusement, however, when his booking pictures were placed side-by-side with pictures of the most famous carpenter of all. Yeshua’s dark skin, hair and eyes were not a good match for the fair-haired, blue-eyed Jesus of Nazareth. Representatives of the press, the hard right and the Christian “moral majority” were loud in their righteous anger and disgust. When asked by a member of Homeland Security, who had been unable to find any evidence of a crime against the hapless Yeshua, how they should dispose of him, there arose loud and angry cries of, “Execute him!” “Stone him and his lies!” However, in the absence of any conclusive proof against him, Homeland Security was reluctant to take such punitive action. 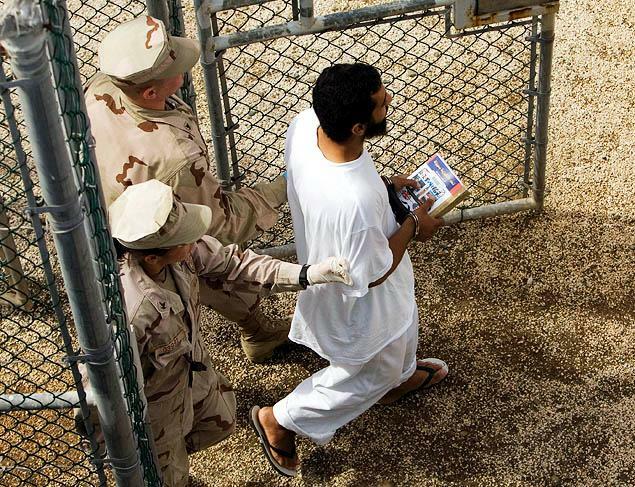 The final disposition of the case being left to them, the decision was made to incarcerate Yeshua at Guantanamo until wiser heads could prevail. The following day, quietly, almost surreptitiously, Yeshua was flown to Guantanamo and imprisoned far enough away from the other prisoners that he could not cause trouble. Henceforth, he would be known only as Prisoner #33, and so the matter was settled. Or was it? Shortly after his arrival and imprisonment, a visitor arrived to interview Yeshua. He gave no name and provided no ID, but he had the clearance necessary, and so the prisoner was sent for. Imagine the warden’s consternation when the guards returned alone, with a story of an open cell door and the complete disappearance of Prisoner #33. I will leave it up to you, gentle reader, to draw your own conclusions. Categories: Abuzz, Cell, Essay, Homecoming, Mystery | Tags: Birth certificate, Carpenter, citizenship, Enhanced interrogation, Gethsemane, Guantanamo, High-tech, Israel, Jesus of Nazareth, Kingdom, Muslim, Preacher, Rabble rouser, Salvation, terrorist, Torture, Waterboarding, Yeshua | Permalink.